The Sunday Times has awarded east Belfast’s Ballyhackamore the title of “Best Place to Live in Northern Ireland”. Though Ballyhackamore took the winning spot, five other areas of Northern Ireland also made the list of “Best Places to Live in Britain”. The expert panel at The Sunday Times took a variety of factors into account, from jobs, schools and local shops to community spirit. 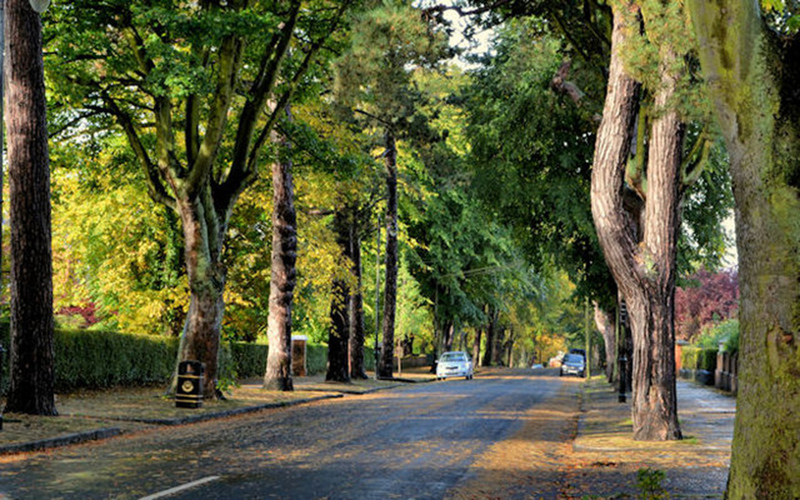 Cyprus Avenue, situated in the picturesque, leafy suburbs was also recognised as the best address in the area. The tree-lined road is particularly striking during the colourful months of autumn. And though we might be a little bias, we can’t help but agree that Belfast is truly one of a kind! Earning the nickname “Ballysnackamore” due to the flourishing brunch, dining and cocktail spots around the area, a starter home in the neighbourhood averages at around £95k. You’ll find the bustling community of Ballhackamore situated between Belfast city centre and Dundonald Village. The vibrant spot is home to an array of high-end restaurants, stylish coffee shops and independent businesses. Local businessman Jason Shankey opened his first of a chain of salons in the area 20 years ago, when the streets of the area were more bare than busy. As more and more small businesses saw its potential, the popularity of the area continued to grow and develop. As well as being one of the best places to live, Belfast is also one of the greatest places to visit and stay. And at The George Best Hotel, we’re set to bring Belfast an entirely new experience, from luxury accommodation to wining and dining surrounded by history. Following a similar format to Liverpool’s hugely successful Shankly Hotel, our upcoming project is expected to attract Belfast’s locals and bring in plenty of visitors to the city, boosting the Belfast tourism industry. Following an entirely unique theme, The George Best Hotel will celebrate the life and legacy of arguably the world’s greatest ever football player. The exciting development will see Belfast’s fantastic Scottish Mutual Building transformed into a luxury venue bursting with character. To enquire further or to keep up with the latest developments, make sure you head over to our Facebook page. This is where we’ll keep you posted on the progress of the hotel and future offers and restaurant deals.